Just a quick drinks post today! With the weather being so shockingly sunny in England at the moment, it’s made me think about my favourite summer drink. 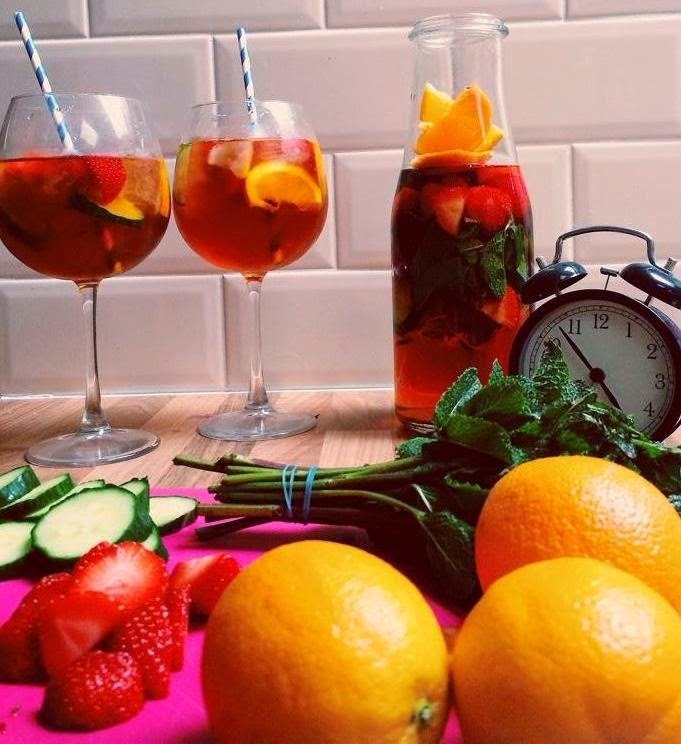 Pimms is the perfect social drink and is even more fun to make! With the mix being one part Summer Punch and three parts lemonade, it really is an easy drink to sip while with your friends and even takes under five minutes to create! 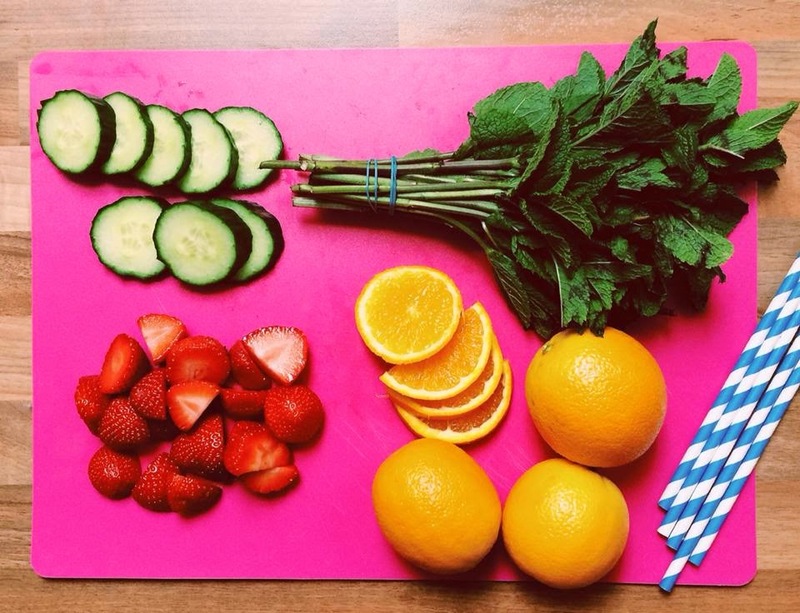 All you need to do is place this mix into a jug of ice and then throw in your mint, cucumber, strawberries and oranges - voilà! It doesn't have to be a jug, but I personally think that if you are going to make this punch then less is definitely not more especially when it comes to alcohol! The fact that it contains fresh fruit is very refreshing for nice weather – and also means you can make yourself feel better by classing it as one of your five a day!!! The ingredients I used are shown below. I used a cheap alternative to Pimms which was called “Austins” from Aldi, and I couldn't tell the difference at all! Add some striped straws for a fun feel and remember, its thirsty work - but someone's got to do it! Simply click on each of the items below and you can buy these straight away online now! We are so lucky to have such an amazing British drink for summer. Sadly, I actually haven't consumed that much of it this summer! Must try harder, and I'll be buying straws like this for it too!